When campers arrive at CSM, they will be classified based on their riding skills: as Cowboys, Mavericks, Caballeros, Wranglers or Bronc Busters. 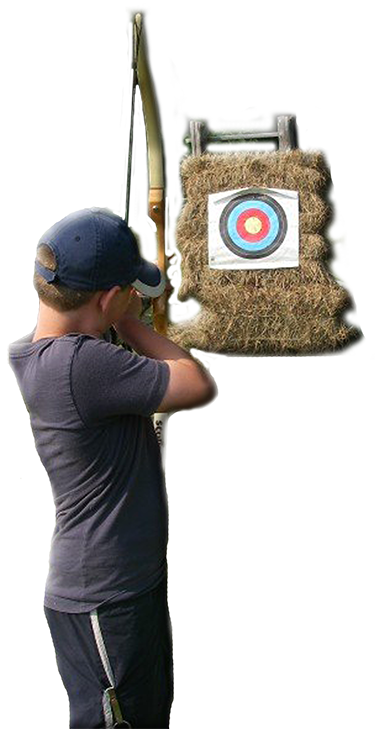 Each of the classifications is designed in order to give campers the appropriate instruction based upon their abilities. All campers are guaranteed two riding programs each week they are at camp, with each lasting at least one hour. In addition, we teach a horsemanship program where campers are given the chance to groom, feed and care for the horses. Many campers enjoy their time at the corral so much that they also choose to attend our one-week Horse Camp. 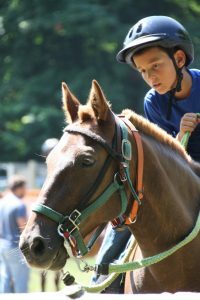 This specialty camp session provides them with a more focused riding program in which to hone their skills. Camp Sancta Maria offers our campers a summer full of fun, personal growth and spiritual development! Some of the greatest growth in our campers happens through the ropes course. The goals of the ropes course include building team work, teaching group problem solving, and helping campers, young and old, to overcome their personal fears. Our ropes instructors are all trained by and supervised according to the State of Michigan standards in Ropes Course licensing. Team games are designed to build confidence, trust and respect between individuals and to help teams prepare for the physical and emotional challenges ahead of them in the ropes course. These games help each team member to see the value of their own contributions and that of their teammates. In the low ropes course, campers work together to achieve a group goal in spite of what often initially appear to be impossible odds. Campers are taught to think creatively about abstract tasks. This later provides our counselors with a wonderful opportunity to unpack their own experiences and to relate these experiences with real life choices and decisions campers have to make in their everyday lives. Campers have the chance to share their own insights with friends. On the high ropes courses, campers are asked to overcome personal fears through “challenge by choice.” Being encouraged and cheered on by their peers gives campers a huge boost to their confidence as they experience the thrill of catching the trapeze bar from the pamper pole, or hurling down the zip-line, or swinging between trees on a rope. Frequent inspections and industry approved equipment and methods are strictly enforced to ensure that a camper’s confidence is backed-up by the knowledge that he is absolutely safe to explore his abilities on our 22 ropes course elements. 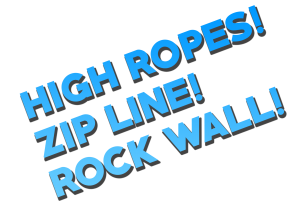 Experience CSM’s high ropes, low ropes, zip line and rock wall challenge courses during our one-week Ropes Adventure Camp! 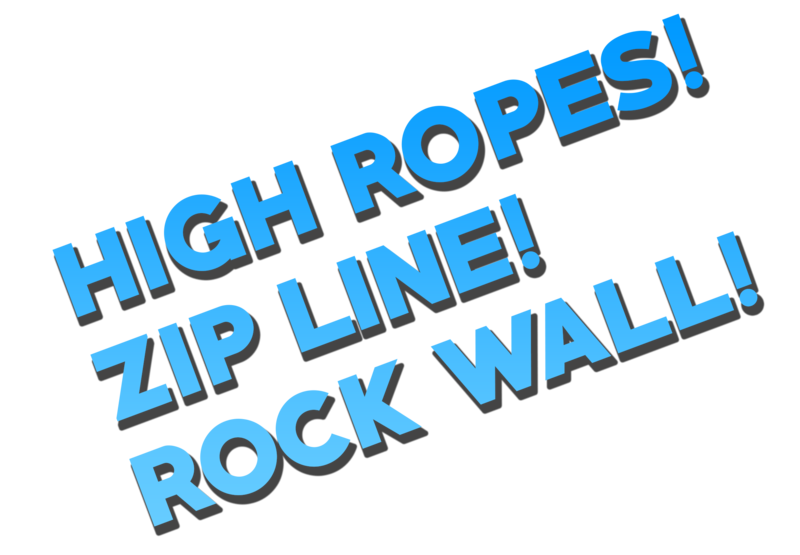 Your son will conquer “The Wall”—a 55-foot tall climbing wall, traverse the “Cat Walk,” LEAP from the top of the “Pamper Pole,” and swing like Tarzan in the trees! 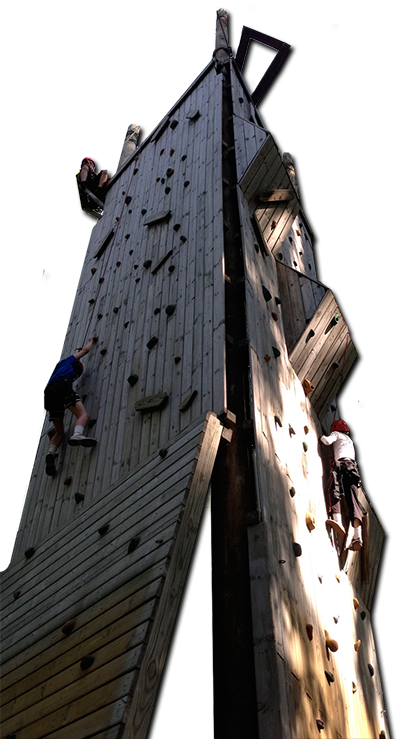 During the Ropes Adventure Camp, campers will experience ALL 22 elements of our Ropes Adventure challenge courses. This camp is more than just about adventure (although there is plenty of that!). Our course encourages campers to step out of their comfort zone and push themselves physically and mentally. Campers will work on team building, leadership skills, and grow in their faith. And campers have the opportunity to do more than climb. They will learn how to belay, care for, and operate the course. 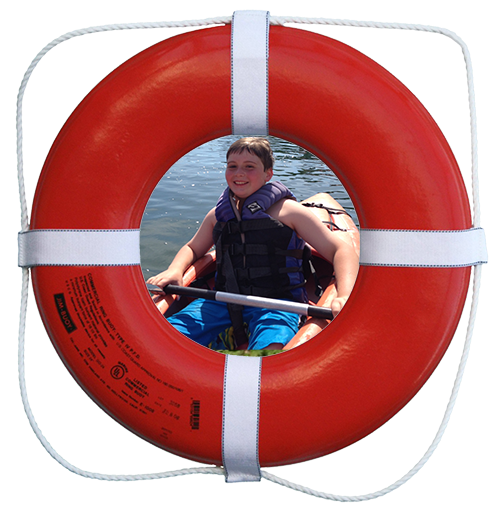 Frequent inspections and industry approved equipment and methods are strictly enforced to ensure that each camper’s confidence is backed-up by the knowledge that he is absolutely safe to explore his abilities on our 22 Ropes Adventure Camp elements. 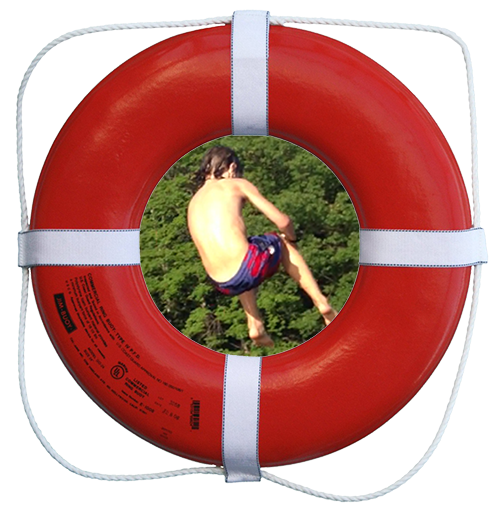 Safety around the water is #1 at CSM. 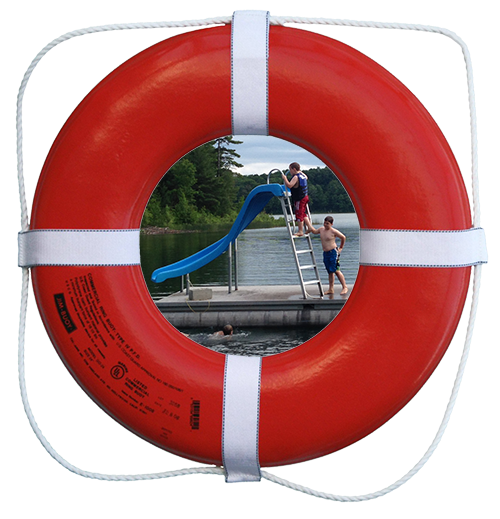 Before any camper is allowed to participate in water activities they are classified by our lifeguard staff into one of 6 levels. Associated with each level is a marked and monitored zone area. Along with classifying swimmers we also utilize the buddy system and buddy checks to ensure the safety of each camper. 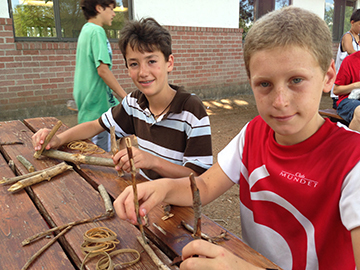 Bring your creativity to camp and prepare for one of the most popular programs at CSM. Our craft cabin has a wide range of models and projects for campers to build, paint, stamp, dye, draw and weave. From tie-dye t-shirts to model airplanes, from bead necklaces to lanyards, there is something to appeal to every camper. 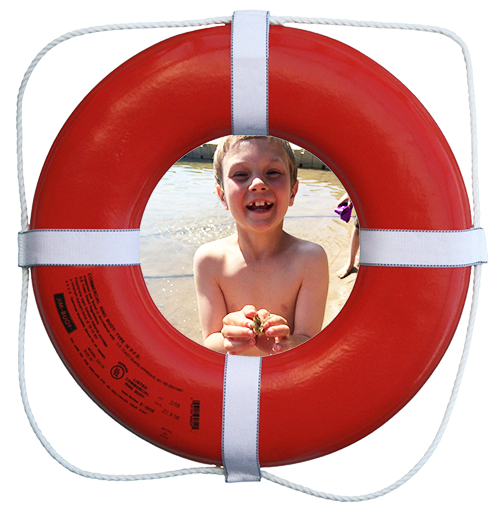 On check-in day, parents have the opportunity to deposit money into their son’s activities account, so that campers have no need to keep money with them. From these accounts campers can purchase a project or two to work on during their team’s craft programs. After the craft program has concluded, many campers like to take lanyards with them to continue to work on during rest periods in their cabin. Experience has shown that campers appreciate activities at camp that provide an opportunity to slow down and develop new interests and skills, as well as a chance to get out of the hot summer sun. A favorite program for many campers is down on our sports field, known as the “Front of the Hill” or FOH. Here campers get the chance to burn off energy and learn new skills in an extensive range of sporting activities. Teams are scheduled for a variety of programs every day, with campers’ efforts rewarded with merit points. 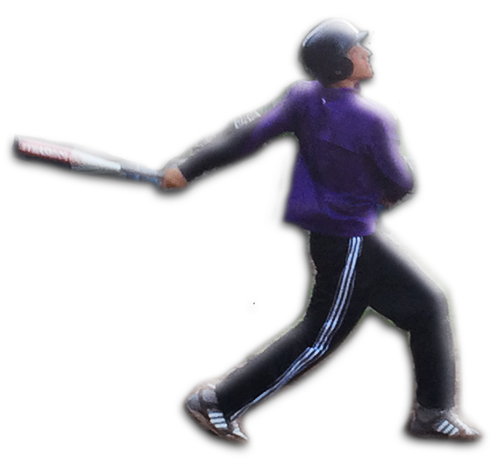 Whether a camper enjoys throwing a football, swinging a bat or kicking a soccer ball, there is something for everyone on the sports field. The emphasis is on sportsmanship, fair-play, and encouragement of fellow campers, as positive values taught by our counselors. Our counselors have extensive knowledge of, and an ability to teach about wilderness survival, shelter-building, outdoor cooking, campfires, first aid and camp-craft. Younger campers spend time mastering these skills before heading out to test out of what they have learned–all with the knowledge that our administration and camp vehicles are just a cell-phone call and a short drive away. Older campers have the chance to take part in more extensive camping and hiking trips as part of their session at camp. In addition to growing in problem-solving skills, our camping program is built into a leadership program that aims to bring out these qualities in our campers. It is our hope and experience that they become some of our future counselors and staff members. 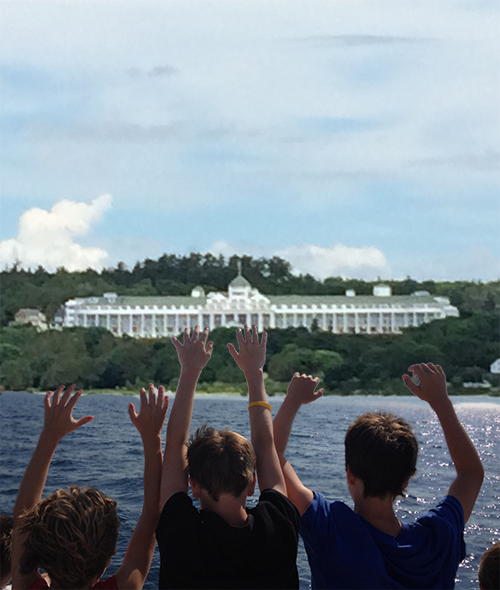 A much loved staple of any one- or two-week session at CSM is the day-trip to Mackinac Island. It’s a special day, a chance to explore the history and novelties of one of Michigan’s greatest summer attractions. So bring your special Mackinac Island clothes, hair gel and spending money–we’ll head for the rooster-tailed ferry and a fun day out! Our trip to Mackinac Island begins with breakfast at camp. Then we board the bus and head north. But Mackinaw City and the ferry port is our second stop of the day. First, we attend an outdoor Mass at the Cross in the Woods Shrine in Indian River. This Shrine hosts the largest crucifix in the world. Campers have the opportunity to attend Mass at the foot of that cross. Next, we proceed to the shores of Lake Michigan. Our lunch-time ferry gets us to the island in just 15 minutes. Once there we eat a quick lunch, divide into small groups each led by a senior counselor, and we spend the afternoon exploring the island–including its fudge stores!